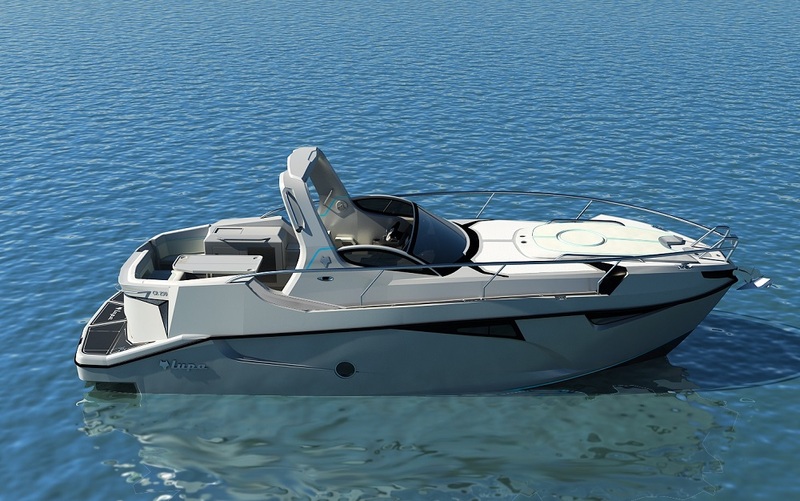 Distinctive styling and superior performance define the Lupa CR 29. 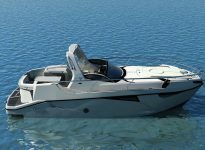 Owing to her extraordinary aggresive lines, this boat will make you noticed on the first glance like no other rival can do. Her unique beauty is so genuinely awe-inspiring that this beautiful 29 foot yacht will turn heads from the moment you leave the dock. CR 29 ensures that each trip will be relaxing and worth repeating. The helm is set to port which is very familiar to the vast majority of car drivers Worlwide. This feature will evidently give you a sensation of a luxurious sports car pilot. Standing, there’s a good view of the bow, so docking to starboard shouldn’t be difficult to judge. 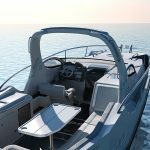 With the helm chair positioned as it is, the helmsman obtains a broad visibility of the starboard quarter and should ease docking chores when coming in port-side too. 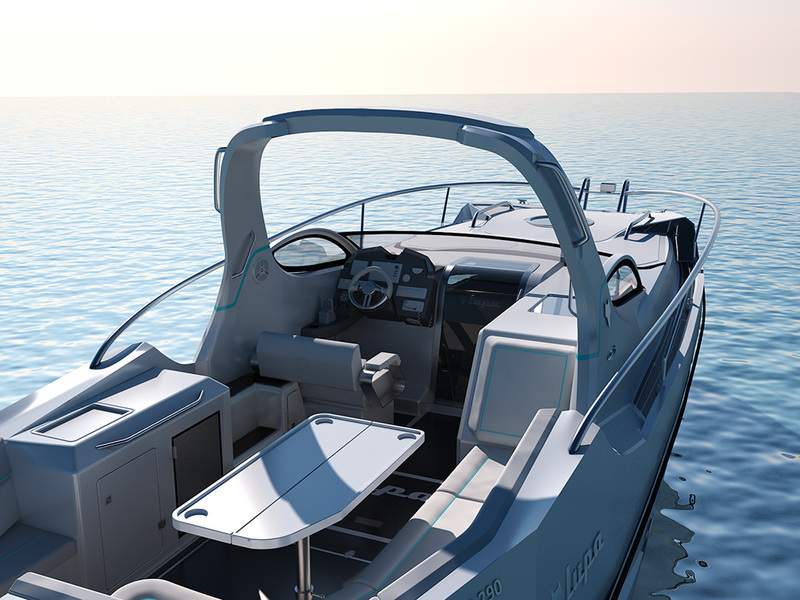 In most of the open and cabin cruisers no matter how large or small, helm seats for two invariably have the wheel centered in the middle of the seat. In Lupa CR 29 the steering wheel is placed in the proper location for a helm seat designed for two people. 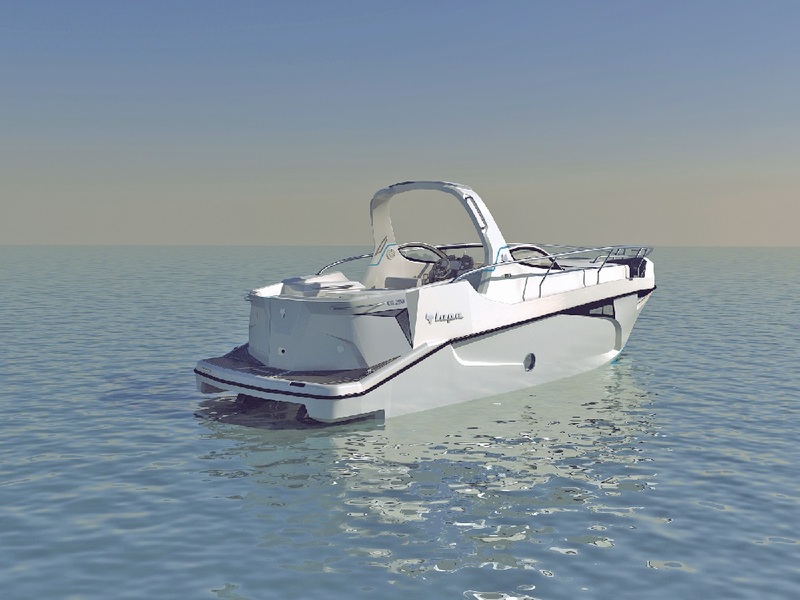 There are two foot rests, but most important the skipper can stand at the helm. Above is a controller area network that allows touch screen control of every aspect of the CR 29’s systems. 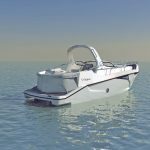 One of the most striking features of this design are the panoramic quarter windows on the foredeck which turns your living space to a fully open space. 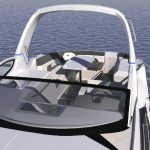 These revolutionary unique windows, take the aft view inside like no other boat in the same class does and provides a bright athmosphere inside. 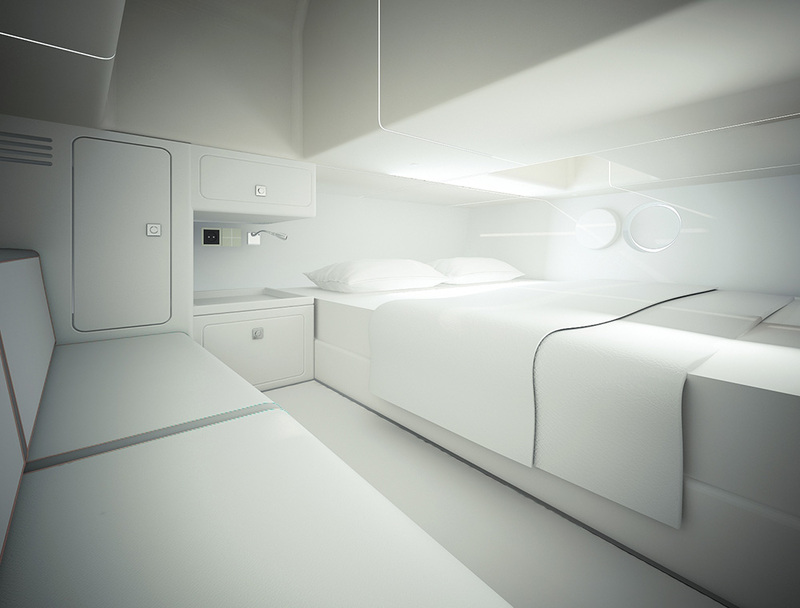 CR 29’s naturally lit cabin is outstanding. Foredeck skylight and extended hullside windows throughout the cabin flood the day head, U berth and galley with natural light. 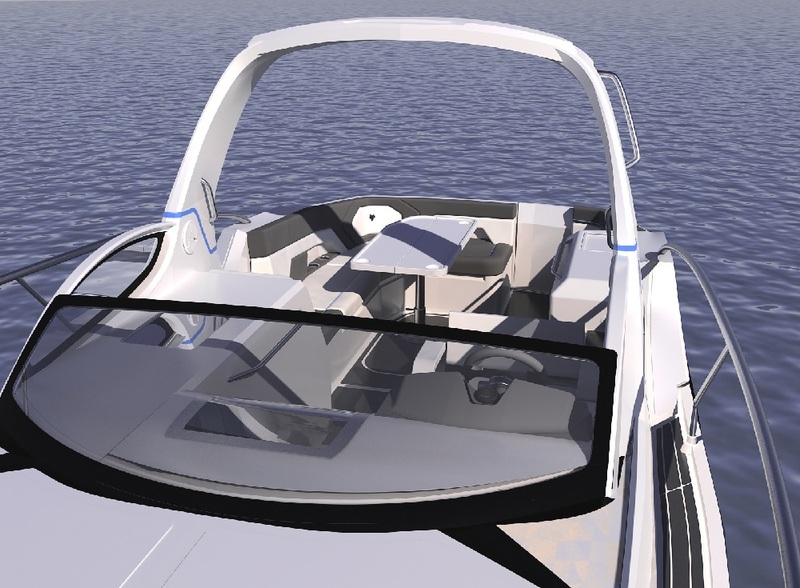 CR 29’s has a door separating its aft cabin from the salon which is infrequently seen in this typology. This creates a real sense of “big boat” luxury. 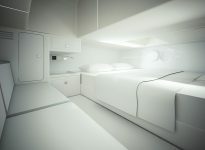 Furthermore, to avoid the very common acceleration causing nausea, like in no other competitor boat, the queensize bed is placed along the center line axis, in order that a more comfortable sleep is provided at anchor. 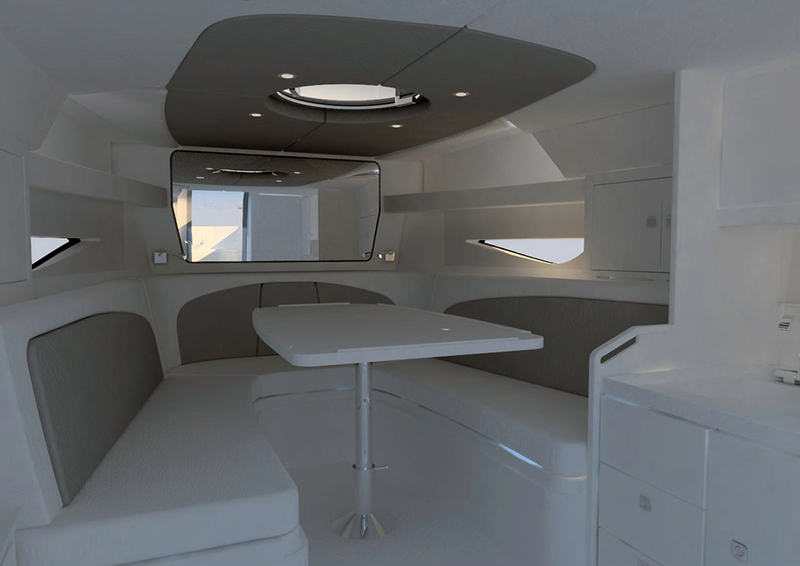 In the galley of the Lupa CR 29 you may have a tough time picking your favorite feature. 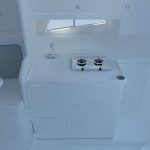 Whether needing to chill appetizers and drinks or whip up some delicacies with the help of a 2-burner stove, you have everything you need in the galley of the CR 29 to ensure a exceptional trip for all on board. 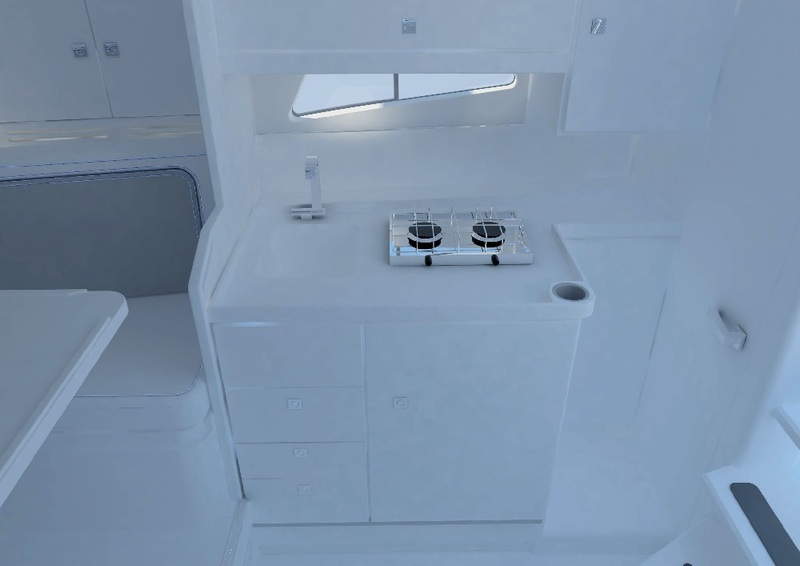 In this practical galley, Lupa CR 29 demonstrates all the design elements for which open cruisers are famous. On the aft deck, CR 29’s well-positioned large wet bar is perfect for preparing snacks and drinks. You will enjoy on-water dinners gathering around the peaceful multifunctional L-shape sette to round off an adventurous day. This roomy place with a storage beneath will serve you as a recreational sunbathing space under the hot sunshine.